I have been working in the coffee industry now for well over 13 years. 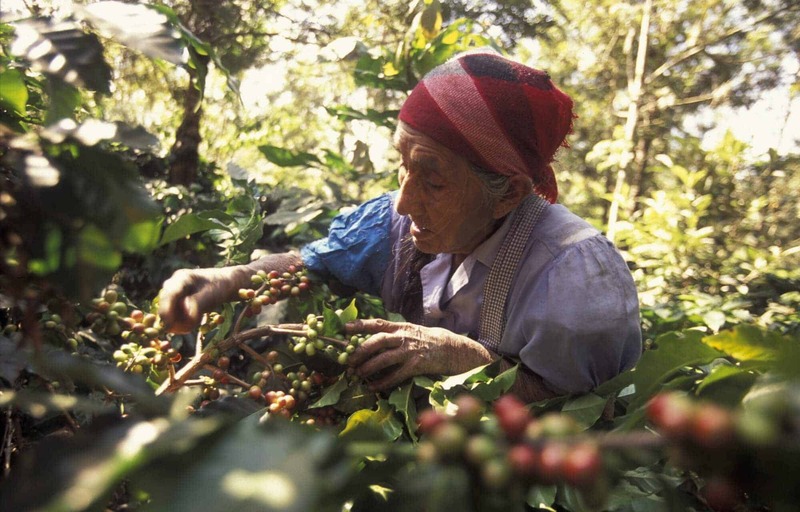 Ten of those years have been spent growing coffee in the isolated regions of the province of Coclé in Panama. As a matter of fact, I am still at it. Like all of us, I have seen a lot of changes in how coffee is purchased from the origin countries over the years. During my coffee roasting years in Victoria, British Columbia, Canada, there was always the ever present label of “Fair Trade” products. Many sincere good hearted people looking religiously for their favorite coffee that was clearly “Fair Trade” certified. They wanted a guarantee that a fair price was given to the poor coffee farmer. Who can doubt that the “call to arms” was amplified a thousand times over, if not originated by the “Fair Trade” movement? It is clear that this organization was coming to the rescue of the lowly coffee farmer. With good reason, too. Millions of coffee producers all over the world live in dire conditions, while we all take for granted their wonderful product that captivates millions more every day. The “Fair Trade” organization came to life with a call to conscience. Pay a little more to give the farmer his fair wage. Nothing wrong with that. People started waking up to their plight. The minimum prices set by Fairtrade International paid to producers as of April 1 2011, were as follows: the minimum price set by Fairtrade International for washed arabica coffee beans was increased to $1.40 per pound. Another 30 cents is added if the coffee is also certified as organic. An additional 20 cents, called the Fair Trade Premium, is collected and is used to fund social and business development projects in the producing communities. Those were the prices in 2011. No doubt, they have been adjusted since then. However, this gives us a good idea of its structure. It is important to note that these prices are paid to farmers cooperatives or associations. The profits are then distributed to the members after expenses. Purchasing coffee from origin countries is extremely complicated. A perfect formula or a “one size fits all” solution is not realistic. There are so many factors involved that finding a formula that satisfies everyone’s needs has not come to light, yet. Due to the irregularities in quality others began looking for more viable means of ensuring high quality coffee, recognizing that you pay for what you get. An effort was made to get to know the coffee producers all over the world, strike up a good relationship with them and make a deal. Finally, the gap was closing between the roaster and the farmer. The big difference between “Fair Trade” and “Direct Trade” is their base. Fair Trade uses a minimum price as a base trusting that quality comes with price. Direct Trade focuses on quality as its base trusting that a better price is paid for a better product. Direct Trade Described? Yeah right! According to Garrett Odell of Cirque Coffee Roasters, the answer is simple: “direct trade in coffee is when a roaster buys coffee straight from a producer.” Patrick Murray of Finca Mahajual, El Salvador, has a similar answer but highlights the importance of the relationship. Questions arise. What happens when an importer purchases coffee directly from producers but, sells to roasters? Can the roaster claim it is Direct Trade? Or on the other side of the coin, what if the exporter purchases from the producers and then sells to an importer or roaster? Is it still Direct Trade? Let’s throw in another one. What happens when it is a coffee mill that sells the coffee to the roaster. Is it Direct Trade? It has to be understood that every case is different and in many situations, these entities fulfill very necessary services. There are circumstances where Importers do what very small roasters cannot do. They buy Specialty Grade Coffee at a great price. Likewise with the exporter; he can provide a service that millions of coffee farmers cannot do. For instance, if I wanted to export my coffee as true direct trade I would have to get all the government permits done without mentioning the logistics. That takes hundreds of dollars and around 2 years of absolute frustration. How many farmers can afford that? Another issue is that there are millions of small coffee farmers all over the world that do not have the equipment to process their coffee to specialty grade. They have to send their product to mills that process it for them. Many of these mills are also equipped to finish the process all the way to the ship FOB. Would you still call that Direct Trade? Some do, some don’t. However, it may be the only way a farmer can move his product. Transparency. With open communications between parties, mutual goals and needs are agreed upon and many times met. Greater Investment Improved income means improved infrastructure and growth. It is also contagious. There are always fence sitters waiting to see how things will turn out. Once good results are seen, others usually come on board. Traceability. Roasters like it as they try to put on extra conditions or convince the producer to do “experiments” for the extra special cup. Farmers like traceability, too as it is very encouraging to hear reports of how so many people are enjoying quite literally the fruits of their labors. Not all is great, however. Direct Trade benefits the consumer whose preference is specialty grade coffee and only the farmer who produces specialty grade coffee. It is not viable for those whose coffee is in the C-Price range. Direct Trade only benefits the specialty grade farmers that can afford it. 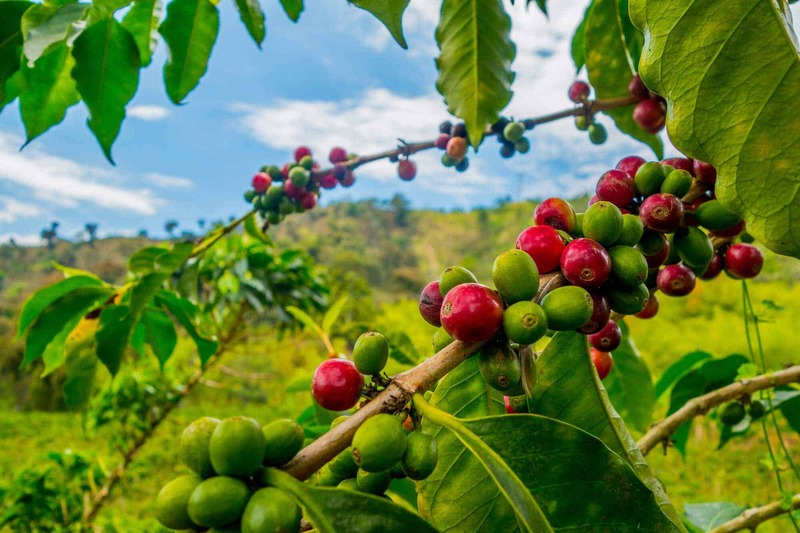 There is a huge army of very small and poor coffee farmers all over the world that cannot produce more than 500 kilos of coffee in a year.These millions of people are not able to benefit from this opportunity for lack of funds and infrastructure. I had a very enlightening meeting with Karl Weinhold of Direct Origin Trading. His organization is based in Colombia. He himself holds an MBA in international trading coupled up with years of experience working in Latin America with the goal of enhancing Direct Trade. This is his passion for sure and he founded this organization to give direct access to micro-farmers like myself and so many others to roasters abroad. Direct Origin Trading is comprised of small farmers who would not have the means necessary to produce specialty grade coffee let alone export it. This is not a cooperative or an association. It is simply an organization of small farmers banding together to do what would otherwise be impossible. I like this because it clearly gives us little guys an opportunity to move our products out. Even if we only have 3000 lbs to sell. That is not a problem. Unfortunately for me, DOT is not in Panama, yet. Maybe soon. I really feel this is a new direction that could benefit the very small farmers. Where do we grow from here? We have come a long way. The Fair Trade movement continues to help so many needy farmers whose products are below specialty grade. Direct Trade in so many of its forms has made great strides in maintaining and improving coffee quality all over the world while at the same time giving proper recognition to so many farmers. Well, Direct Origin Trade certainly seems to be at the helm of what could be a practical solution to the needs of millions of farmers that fall between the cracks. Who knows where this will lead? Time will tell. Meanwhile, each organizational structure meets the needs of those they serve. There is no reason to believe this is it. It is called progress. Old ideas bring new ones. Times and circumstances change. We can be grateful for all the hard working people that brought these organizations to the fore, all for the benefit of coffee loving people everywhere.